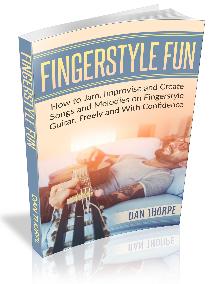 Dan Thorpe’s brand new and eagerly awaited fingerstyle book will teach you how to have fun, freedom and liberation on the guitar. In the book, you will learn how to pick up the guitar any place, any time and play fingerstyle with complete confidence. If you love to fingerpick or want to learn but have no idea how to play it, then this book will give you the tools to be truly confident in this beautiful style of music. Many guitarists work hard and struggle with their guitar playing. They have successes but they are not as often as they would like. It can be a hard slog but it doesn`t have to be. Having endless fun on the guitar doesn’t have to be something you have to wait years for – you can have fun on the guitar RIGHT now!!! Looking on the internet is one way of learning how to jam and create but there are hardly any resources on improvising guitar, and less on improvising fingerpicking acoustic guitar. Most people who are encouraged to jam, like when jamming with a friend who plays, or learning from a YouTube tutorial are often shown one thing but expected to run with it. They are taught something at level 1 and then it jumps right to level 10. This is frustrating and actually damages the confidence of the student and makes them question their own ability. This has probably happened to you on multiple occasions. It did with me when learning. If this has happened to you then fear not, this book is a steady, progressive and linear guide on how to feel completely at ease with fingerpicking guitar. Even though we start off basic, the music will sound great from the very first few examples. There is no need to wait until example #96 like in some books before it sounds good, and there is no “jump” in difficulty from one example to the next. 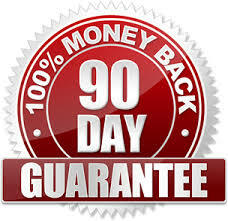 I have done my absolute best to ensure this is the smoothest ride for you possible and have tweaked these ideas over many 100`s of hours worth of lessons. I make it a big priority to get new students of mine to feel the rush and joy of improvisation within their first few lessons. To many of you, it will sound like a ridiculous thing to do as most guitar teachers don`t even mention improvising or creating and less show you how to do it. I see very regularly the confidence a student gets from this in these early stages. This confidence transfers to the rest of their playing and helps boost their playing in many ways. What we do is NOT difficult. It just starts with me showing them exactly what to do, (what you will learn in this book) and then me showing them how to deviate from that little by little until what they have is 100% their own. Knowing what to do is the first step. One thing that has frustrated me in the past is that some books and courses I have seen or read can be too structured and regimented. This can make things a little dull for the reader or watcher where instead things should be fun and exciting! Fortunately, over the years I have discovered there are multiple ways of teaching a student how to truly create and be liberated on the guitar. The book is packed full of fun ideas all taught in a sensible progressive way while keeping things fun and fresh throughout. It is the book I am most proud of. One thing that makes this book unique is that it is split up into 3 separate parts that all tie in with each other but differ in many ways. Each of the parts are different but all have the right amount of structure to make learning the examples straightforward. In this part of the book, you will discover how to take one simple four-bar chord progression of basic open chords and turn them into some serious jams. We start this off really simply and then build up the difficulty level progressively. There are 5 levels of difficulty with each one building upon the last one. Part 2 – 4 Fun Jams In 4 Different Genres! For this part, we change things up and step away from one chord progression to create something totally different. In this part, you will learn how to play and improvise fingerpicking guitar in a variety of styles. Each of the above genres sound massively different to each other but each jam is laid out in a clearly defined manner where you will first learn about the style, what makes it unique and how to play it in these fun jams! Part 3 – My Favourite Tips and Tricks To Get You Moving Forward Quickly! In this chapter, you will learn my favourite little tips and tricks that I use on a daily basis to create fun and unique sounds that best of all – aren`t hard to do! These simple ideas are pretty unique and have a different sound to just playing normal open or barre chords. They are easy under the fingers and allow you to have lots of fun for little work – which is what we all love. Movable Chords – How to take a simple chord shape and make it sound unique and awesome – everywhere! The Experimenting, testing and tweaking have ALL been done for you! In the past, I have read a few books where the author is just trying out ideas on the student. Some of them work and some don`t. One of these was the Joe Satriani book Guitar Secrets. It`s a good book but some of the ideas just don`t work. I wish he would have taken the time to try out some of these ideas in real life and road test them before putting them in print. The book would have been so much better. That is why I have taken the time to ensure this book is the complete and 100% finished article. I have tweaked and tested these techniques until they cannot be tweaked and tested any further, and now I present to you the finished product. Fingerstyle Fun! will save you hours of frustration, countless headaches, and grant you the opportunity to create some really stunning guitar pieces. If you follow what is in the book, you’ll find that you’re much better at playing fingerstyle guitar than most, and it will be fun and rewarding as well. How to create `superlicks` by combining more than one simple lick and how it isn`t hard to do! Why a technique called `legato` will improve your speed and ability to sound like a pro! Why you only need simple open chords to create stunning music – no difficult barre chords needed! You no doubt have your favourite fingerpicking songs and artists. Many of them have played for a long time and therefore developed their skills over many years. As a passionate guitarist and teacher, I have studied the best of the best and learnt a lot from them. The knowledge I gained is what you’ll receive in this book. I have purposely written and created the examples in this book so they are suitable for guitarists who are new to the instrument all the way to those who have played for many years. No guitarist should be left out in the cold when it comes to creating, improvising, jamming and learning about fingerstyle guitar. I have played the guitar for about 18 years and have taught full-time for a big chunk of those years. “I am still trying to learn something new to apply to the guitar every day”. No matter how much or how little you have learnt there is always something more to learn. This book has plenty of materials for you to apply to your guitar playing right away, from the very first example. Five Stars – “Starts with the basics and builds upon them. Very detailed and it has helped me tremendously at the technique. I would definitely recommend this book to anyone looking to learn the techniques outlined in this book.” – Jeff M.
“I like Dan Thorpe, he is very refreshing as a guitar tutor and has a good style. I’ve tried many books previously and don’t usually get to finish them. There are two versions of the book available. You can get the basic version which features the book in both PDF and Kindle formats, printable tab PDF and audio. You can also get the expanded version where you get all of that plus more stuff to help you improve even faster. 1) A Step By Step Beginner`s Guide On How To Play Percussive Fingerstyle For A Super Groovy Sound! Percussive fingerstyle is one of the dark arts of guitar playing. I get asked a fair bit on how to play this technique. Often, guitarists are taught or think this is a really complex technique but in this video, I break it down in a step by step manner and show you just how simple it actually can be. A whole bunch of exercises to take away and practice so you can comfortably play this cool sounding style. 2) A Fun and Exciting Solo Guitar Jam In The Style Of The Country Legends! Even if you don`t actually like country music, you will love playing this fun jam as it gives you another string to your guitar playing bow. Whenever someone requests you to play something, songs are great but sometimes they can sound a bit `samey`. Playing a little jam like this makes people smile because it is so much fun and is often very different sounding to everything else you can play. The best thing is, it uses three chords and one scale you will almost certainly know (and if you don`t you`ll learn them in minutes). Everyone should have a fun jam like this in their repertoire as it is fun to play, fun to listen to and will increase your skill set on the guitar! Every piece of music, which is almost 100 examples, all come in a series of Guitar Pro files for you to play along with or even adapt. If I were to teach you everything here, one-on-one, it would take countless hours to do so. The small price for Fingerstyle Fun! 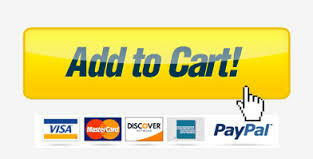 saves you a lot of your precious time. Remember, I have road tested all these techniques on real-life students and refined them many times so that they can be easily digested, are practical and most of all, are useful to you. How To Use Percussive Hits When Playing Fingerstyle For A Super Groovy Sound! A Fun and Exciting Solo Guitar Jam In The Style Of The Country Legends! Buy Fingerstyle Fun! How To Jam, Improvise and Create Songs and Melodies on Fingerstyle Guitar, Freely and With Confidence and if you are in any way dissatisfied once you have read the book, I will refund all of your money immediately, no questions asked. These very techniques are those I use to teach fingerstyle guitar and they work repeatedly with countless students of mine, either in direct one to one lessons or group lessons. These techniques work for them. They’ll work for you too. In this version, you will get A Step By Step Beginner`s Guide On How To Play Percussive Fingerstyle, which is the only guide I know of that breaks down this technique for those new to it, Country Convoy! A fun and exciting country guitar jam, and the Guitar Pro files for all the content in the book.